In my version of Heaven, French fries are zero calories, high heels never hurt, and there’s always a “Real Housewives” marathon on TV. Oh — and I almost forgot the most important thing: There’s a full nail bar stocked with every polish ever created. With all these polish options and tons of free time, I spend the days inventing some of the coolest nail art designs. I never lack inspiration. Instead, I am overflowing with new ideas, all for my tiny canvases, which mere mortals simply call nails. 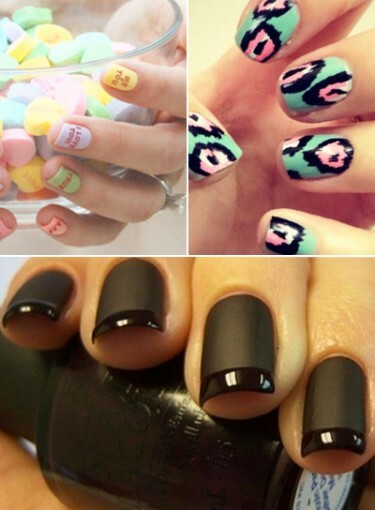 Click here to see the latest nail art looks. Did I mention that a simple flick of a wand removes all the polish in less than a second? Yup, no more smelly remover. And my nails always look clean and healthy afterward. Just another perk of being in (nail) heaven.